Manhattan, Central Park, Harlem, Plaza hotel, Lincoln Center, Empire State Building, Chrysler Building, United Nations, Flatiron Building, Rockefeller Center, Top of the Rock, St. Patrick's Cathedral, Brooklyn Bridge, Wall Street, Stock exchange on Wall Street, Wall Street charging bull, 9/11 Memorial (World Trade Center), Battery Park, Statue of Liberty, Little Italy, Chinatown, Greenwich Village, Soho, Fifth Avenue, Broadway in the evening, NYC helicopter tour over Manhattan and the Statue of Liberty. Pick up at JFK airport. Meet and greet by the private driver at JFK airport. Drop off at your hotel. Free time. Overnight at the hotel. Pick up at the hotel. 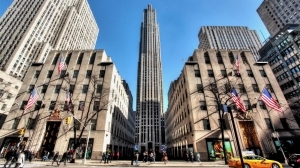 Tour itinerary: Central park, Harlem, Plaza hotel, Lincoln center, Empire State Building, Chrysler Building, United Nations, Flatiron Building, Rockefeller center, St. Patrick's Cathedral, etc. Top of the Rock tour + entrance tickets. Drop off at the hotel. Free time. Overnight at the hotel. Pick up at the hotel. Tour itinerary: Brooklyn bridge, Wall street, Stock exchange on Wall street, Wall street charging bull, 9/11 Memorial (World Trade Center), Battery park, etc. 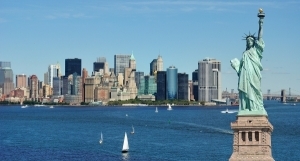 Statue of Liberty tour and cruise + entrance tickets. Drop off at the hotel. Free time. Overnight at the hotel. Pick up at the hotel. 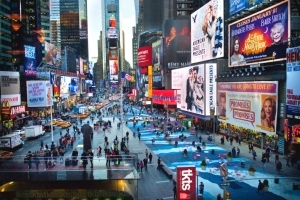 Tour itinerary: Little Italy, Chinatown, Greenwich Village, Soho, Central park, Fifth Avenue, Broadway in the evening. Drop off at the hotel. Free time. Overnight at the hotel. Pick up at the hotel. Transfer to Downtown Manhattan Heliport. 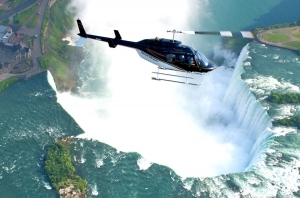 Private 15-minute New York helicopter tour over Manhattan + Statue of Liberty. Tour highlights: Statue of Liberty, Wall street, Liberty tower, Brooklyn bridge, Governor's island, Ellis island, USS Intrepid, Sea, Air, & Space Museum, Madison Square Garden, Empire State Building, Central park, George Washington bridge, Hoboken, Hudson River, Jersey City, East River, Staten Island ferry terminal. Drop off at the hotel or any place in Manhattan just after the tour. Free time. Overnight at the hotel. Hotel - JFK airport private drop off. Meet your private driver at the hotel. Pick up at the hotel. Drop off at JFK airport. Any other services or goods not mentioned in the included points.